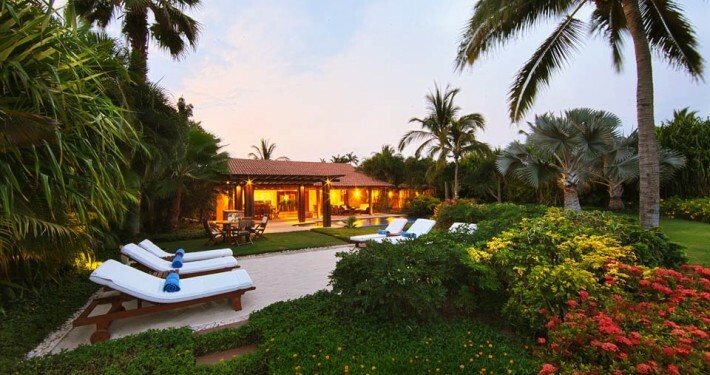 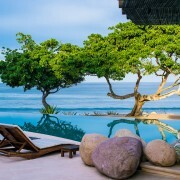 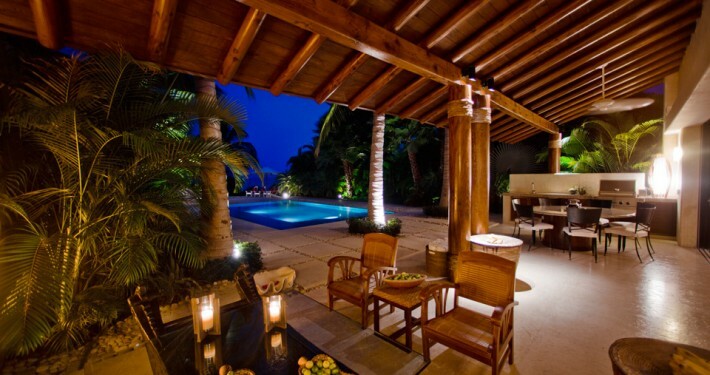 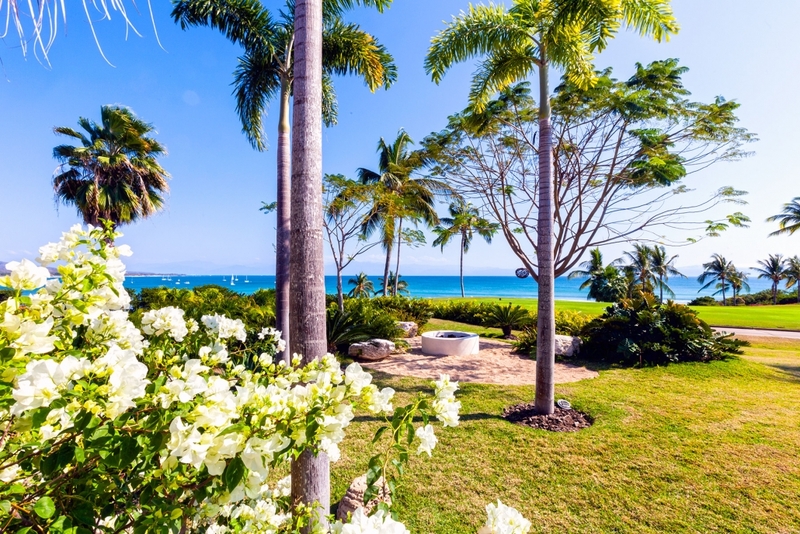 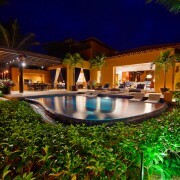 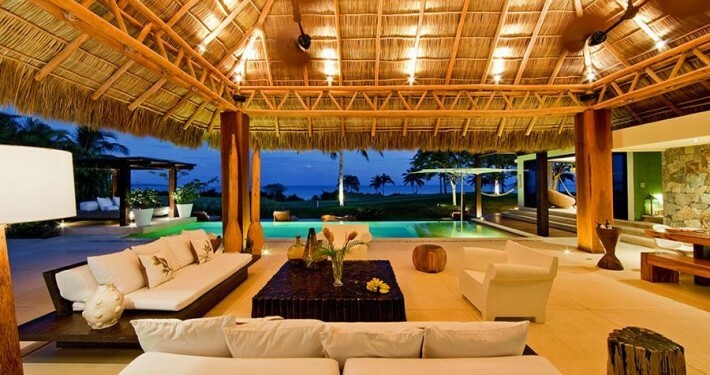 Villa Lagos del Mar 7 is an elegant tropical earthy chic formal affair made for quiet relaxation. 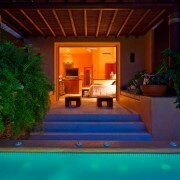 Open the 60′ foot-long pocket doors as inside-outside ends & begins again with ritual sunsets over the Marietas Islands. 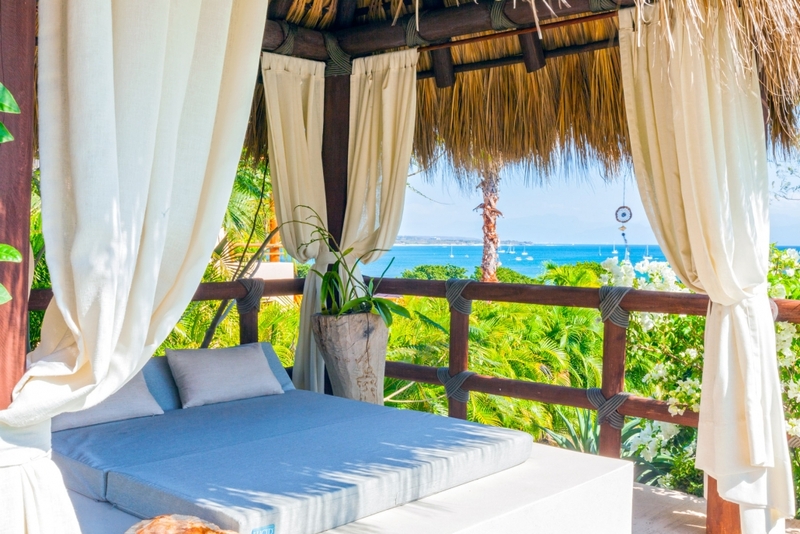 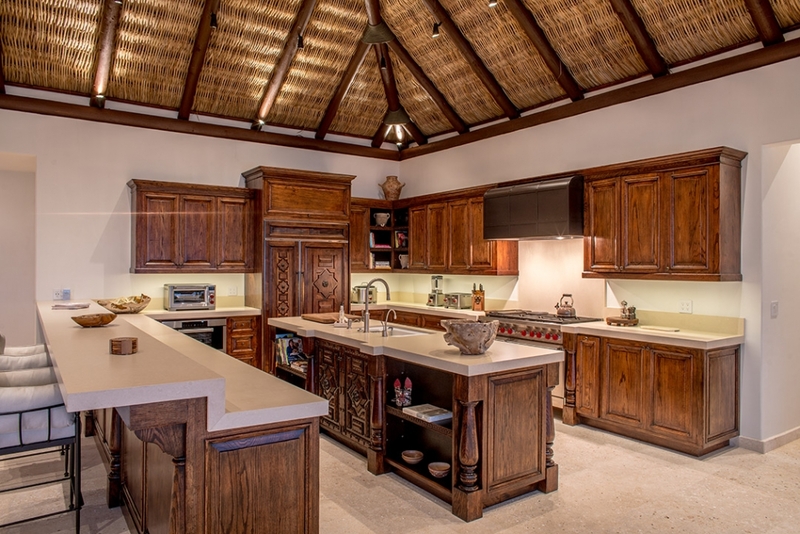 Fresh ocean breeze and natural sunlight fill the open spaces of hatched palapa, white stucco, dark woods. 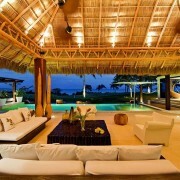 and hand made furniture by renown artisan Alfonso Marina. 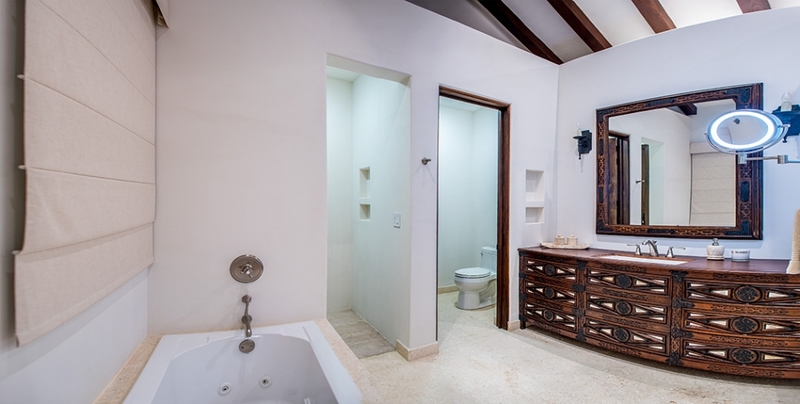 Antiques decorate common spaces and bedrooms. 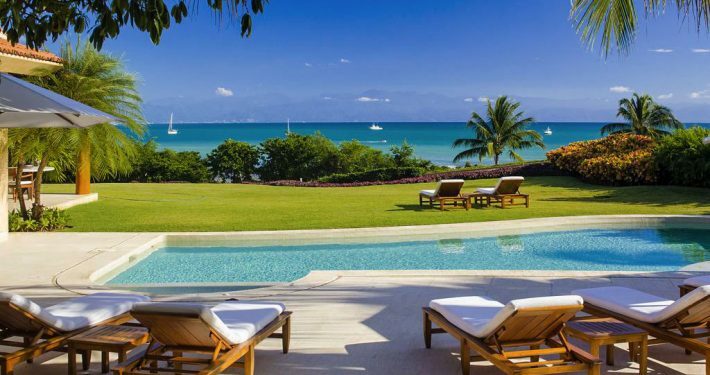 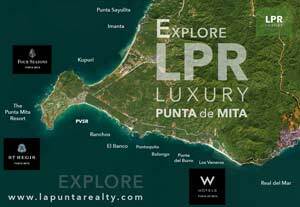 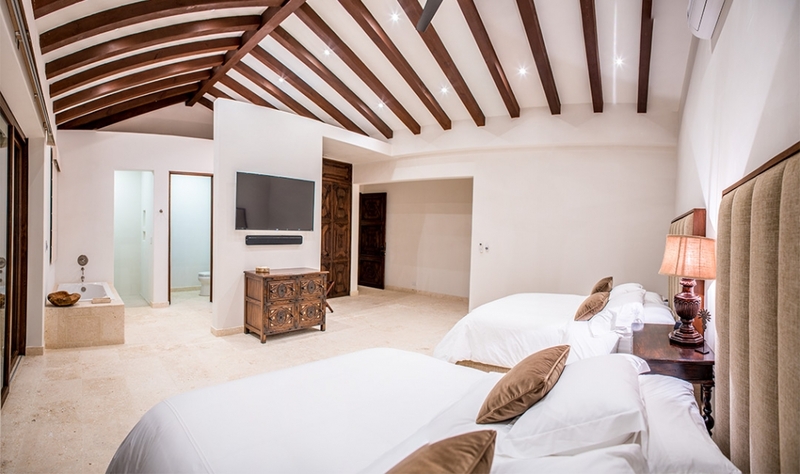 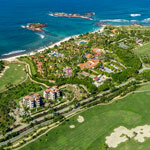 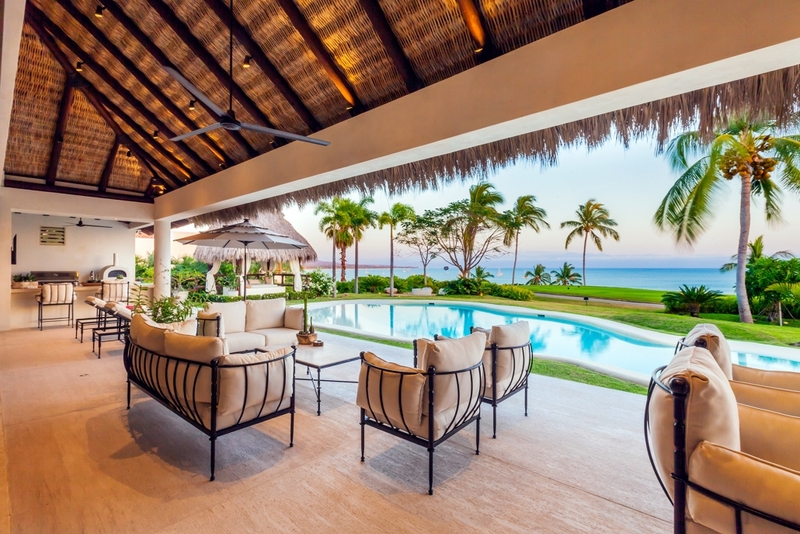 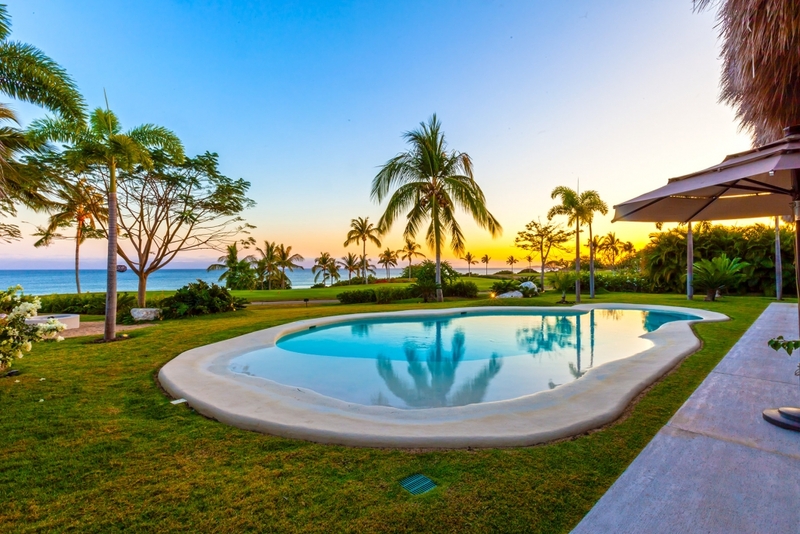 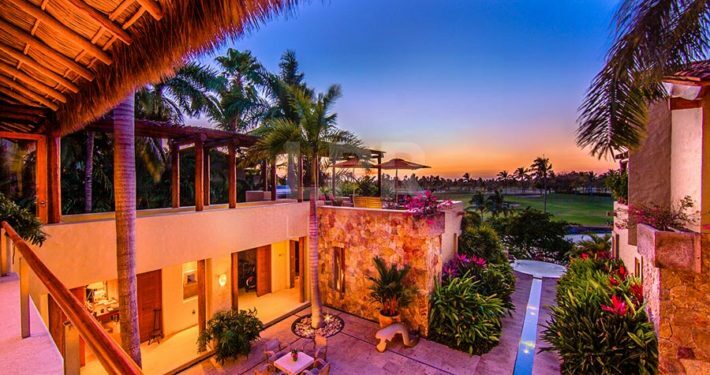 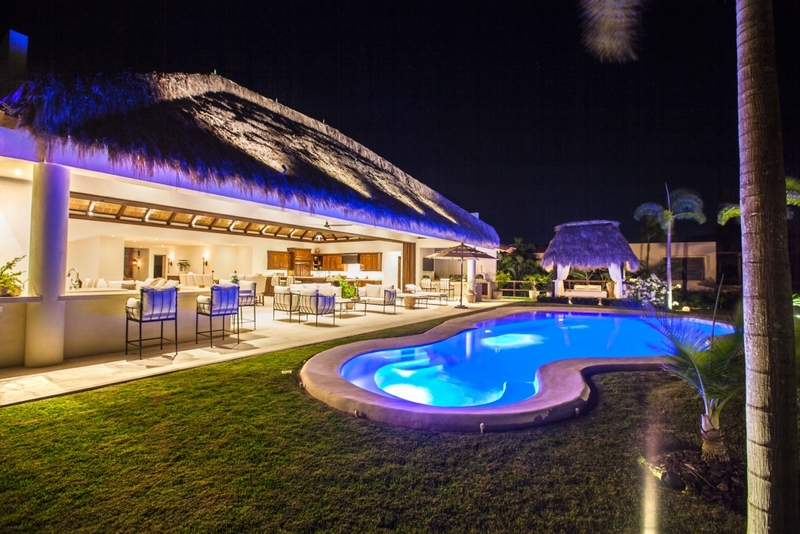 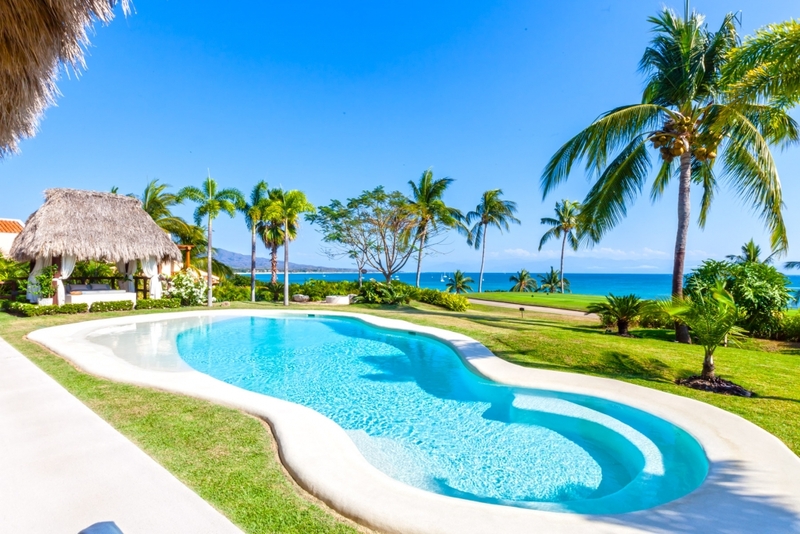 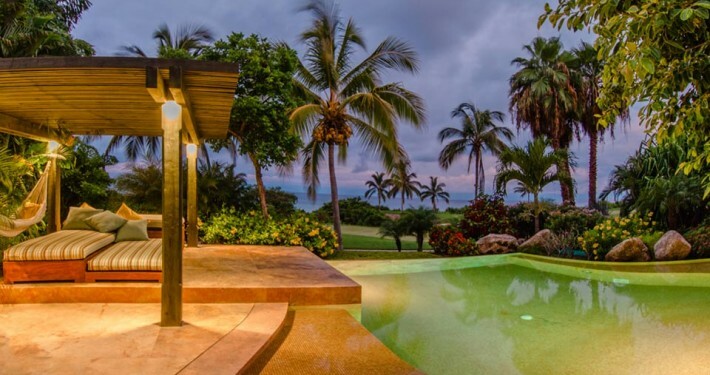 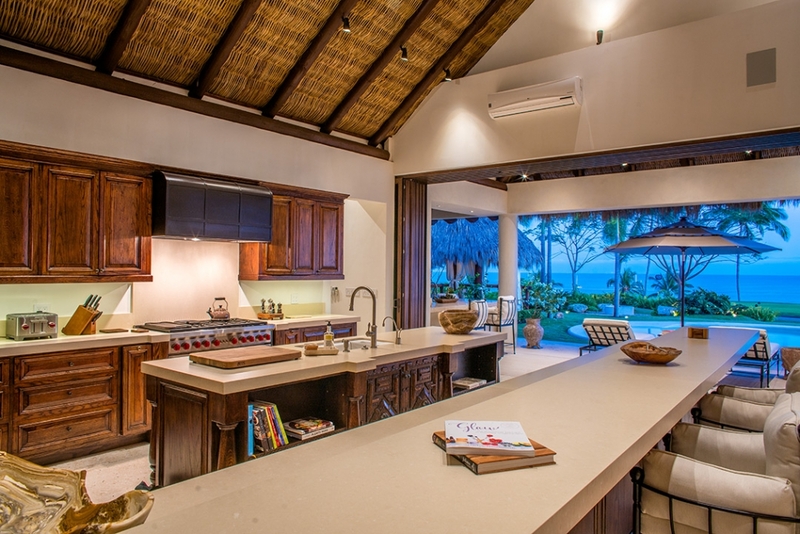 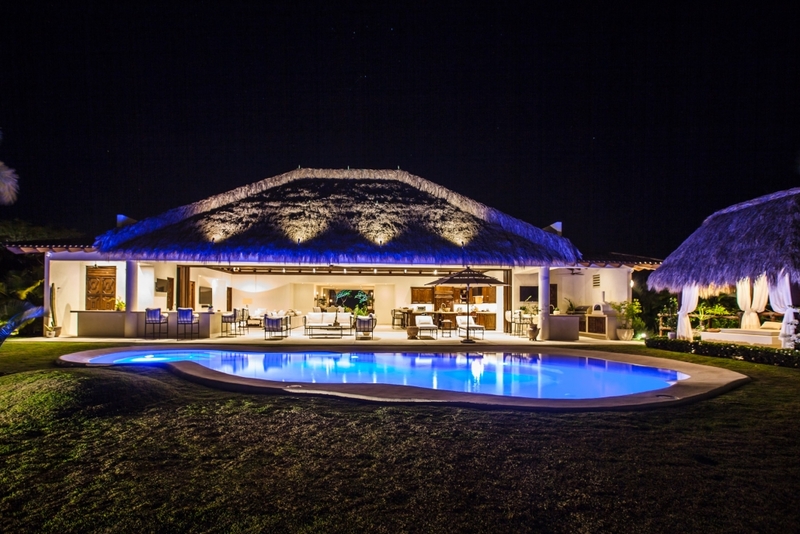 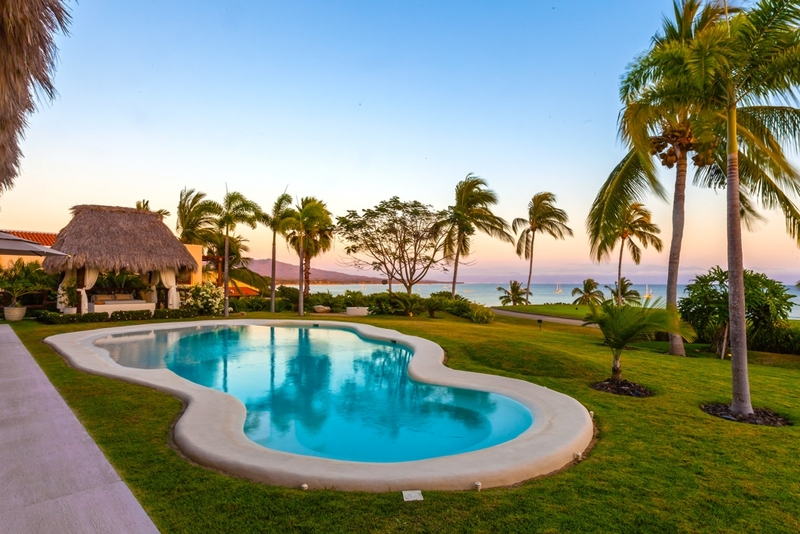 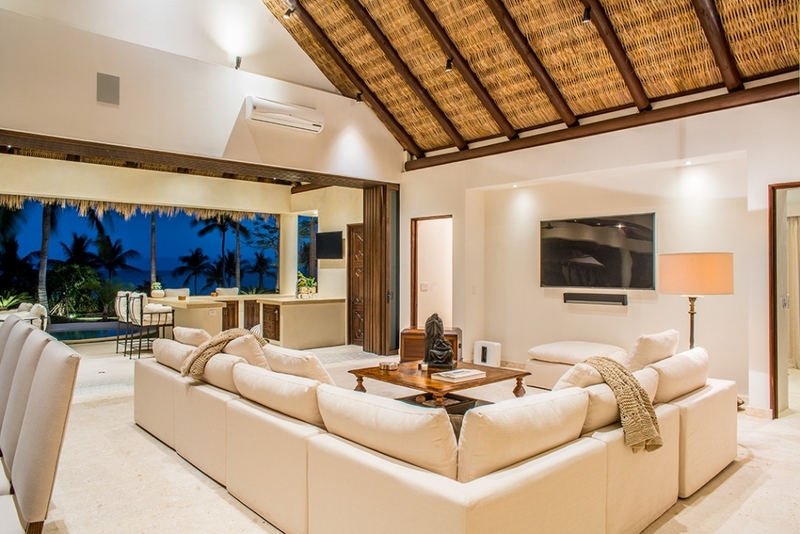 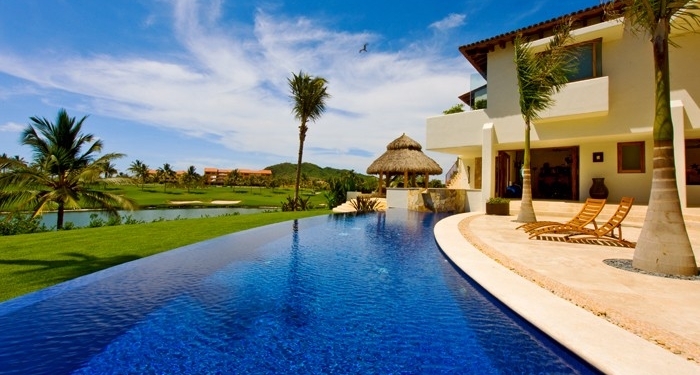 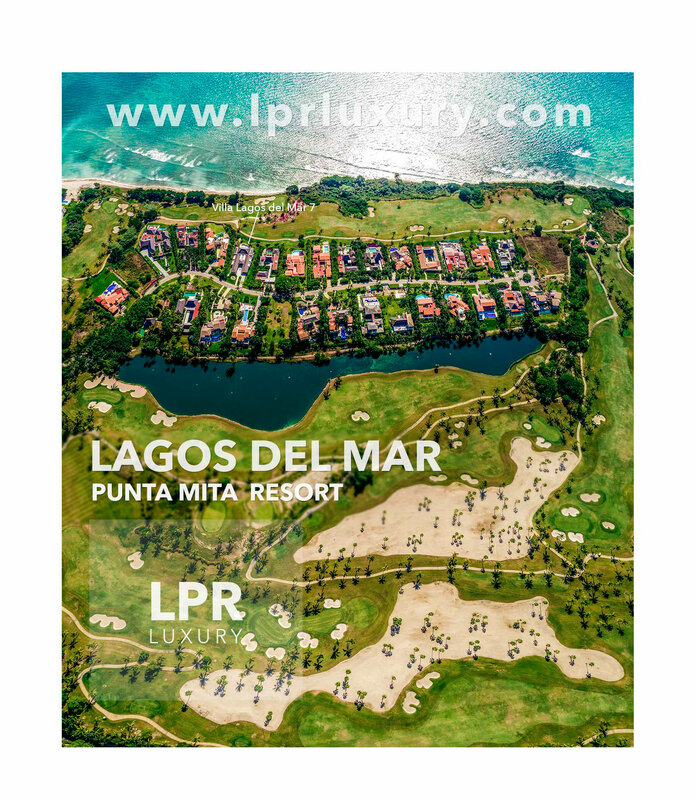 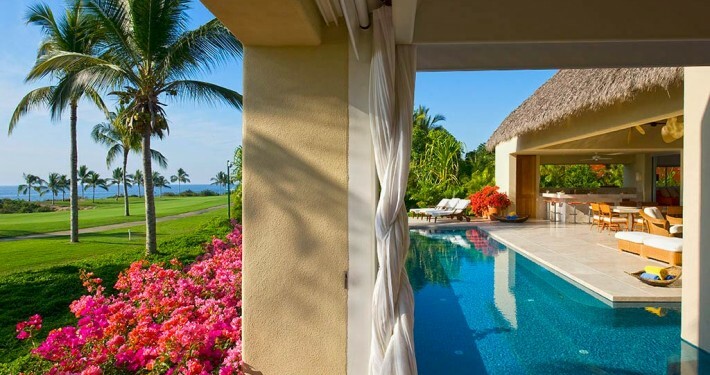 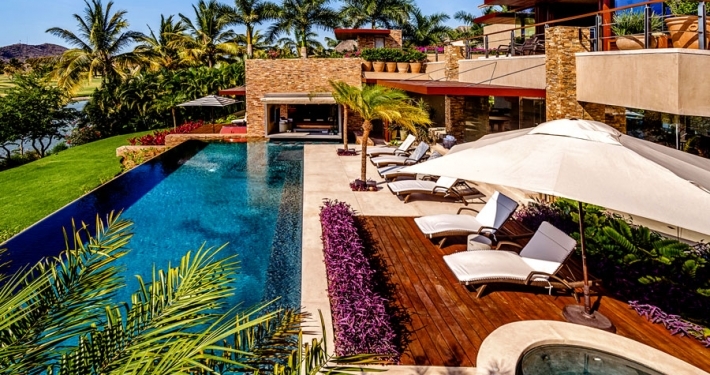 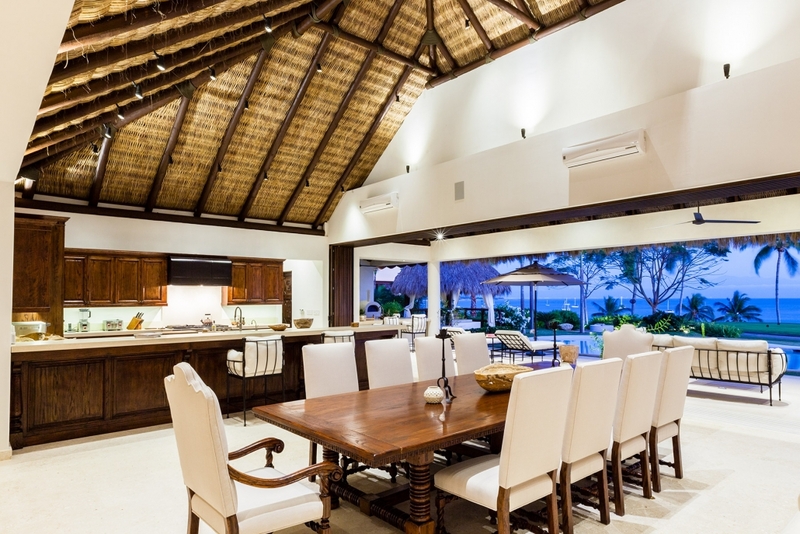 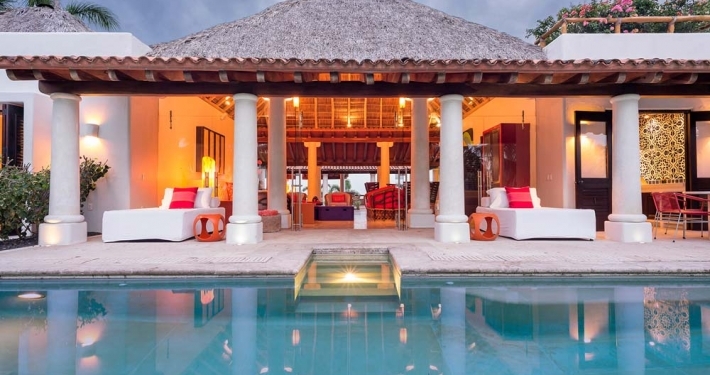 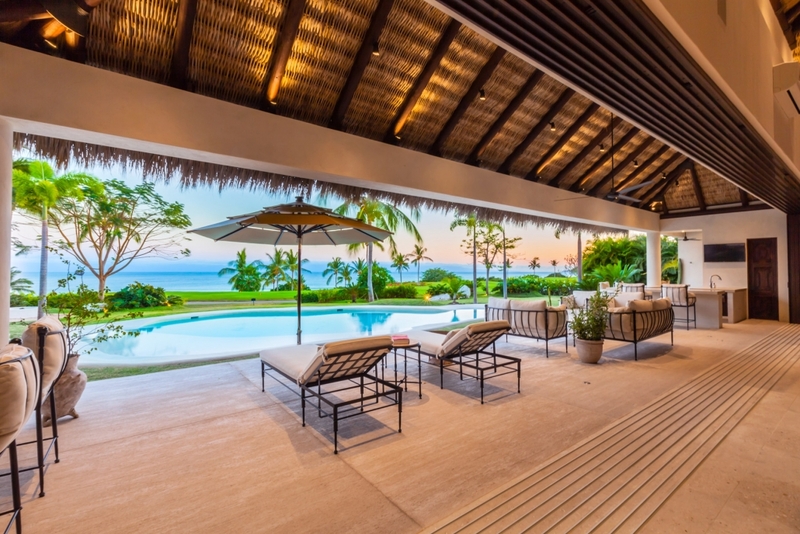 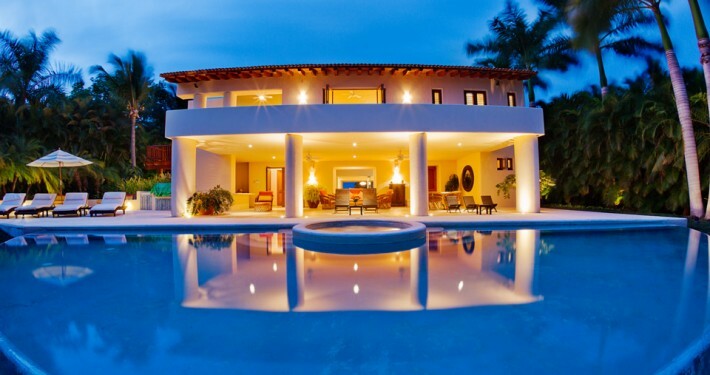 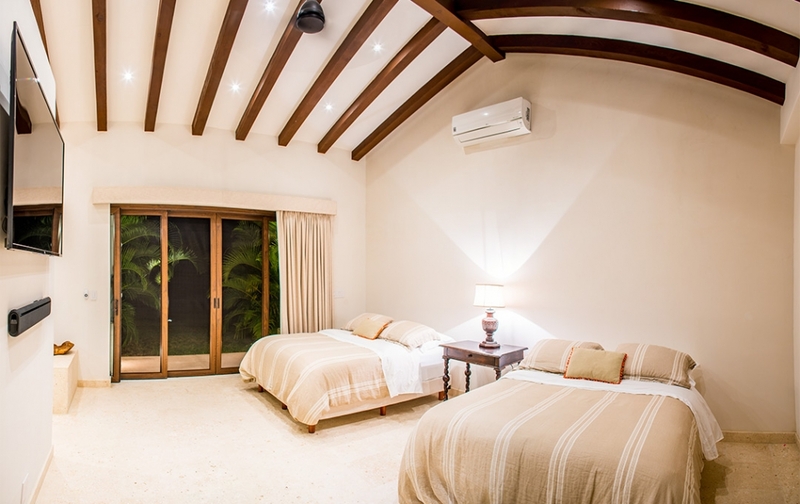 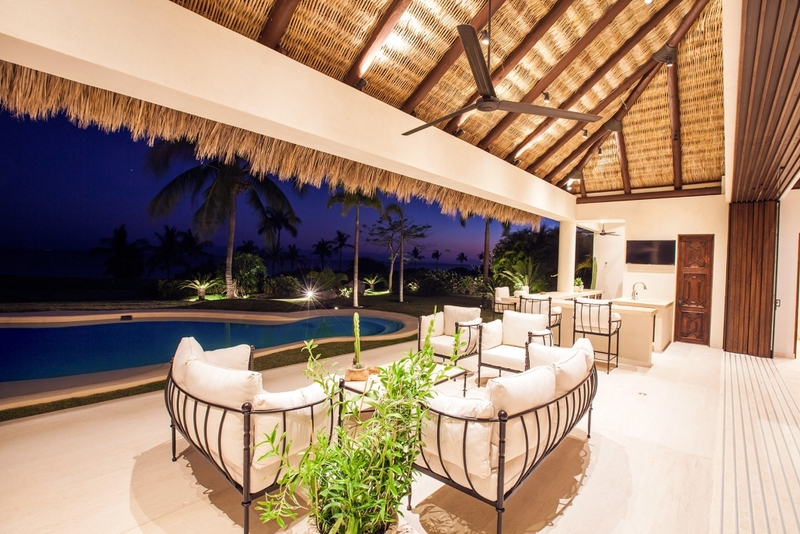 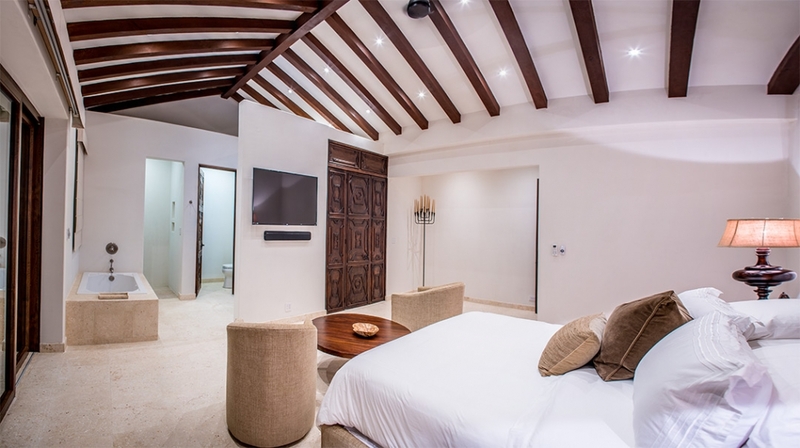 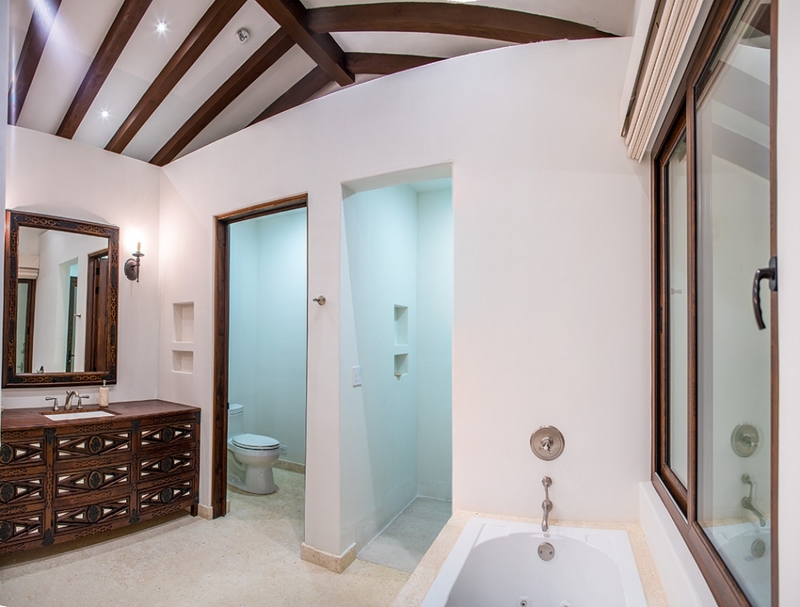 Located within the gated community of Punta Mita, this elegant villa has quick and easy access to the restaurants, shops, sporting facilities, and beaches of the prestigious community. 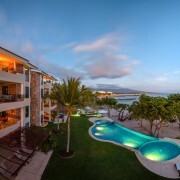 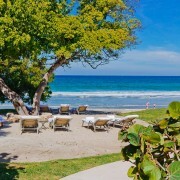 In fact, the Resident Beach Club is just a short distance from the home, as are both the Bahia and Pacifico golf courses. 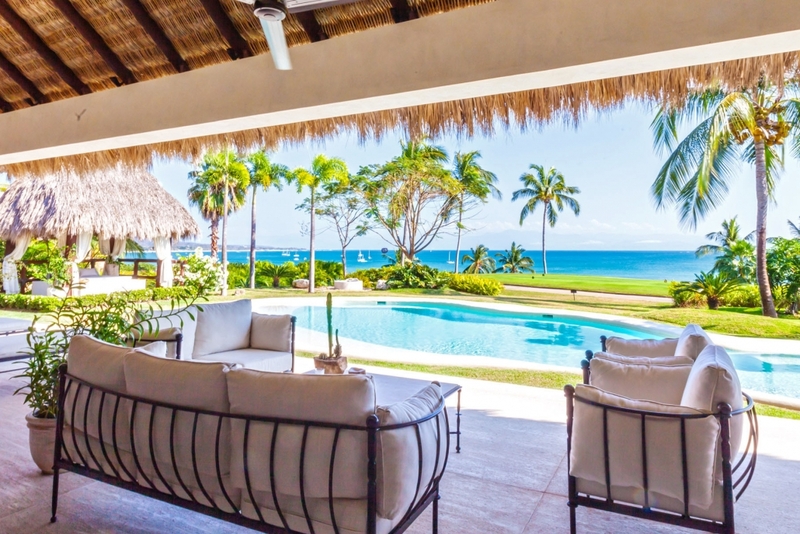 Sitting on fairway 9 of Pacifico golf course, Villa Lagos del Mar 7’s golf-view terrace is the perfect place for casual group gatherings. 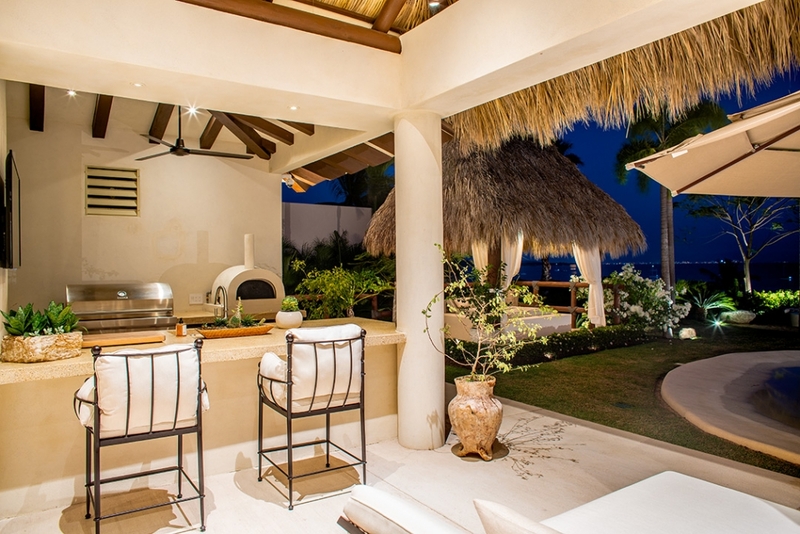 The outdoor kitchen, organic garden, barbecue, pizza oven, fire pit, and wet bar will make your cookout a breeze. 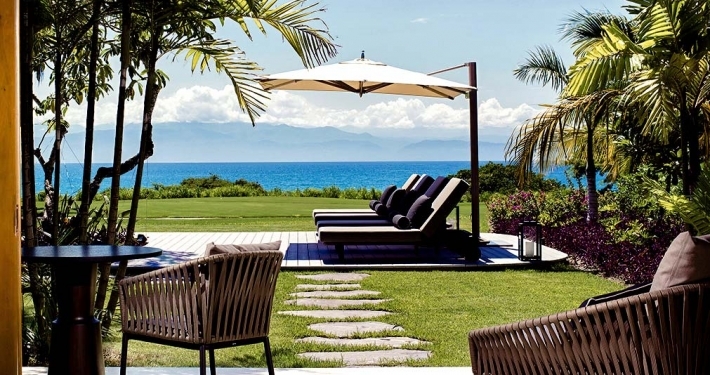 The outdoor resting bed by the infinity swimming pool, made with a rare organic sand finish imported from Spain, is a great place to relax after a morning on the golf course. 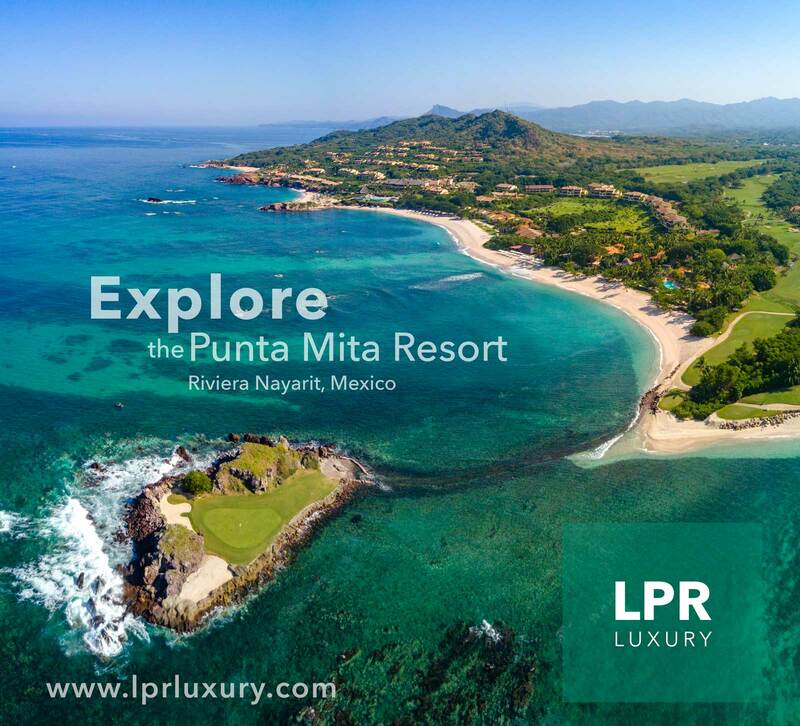 If you feel like exploring the resort, hop in one, of two, provided golf carts and go check out the spa, beach club, water sports, and restaurants. 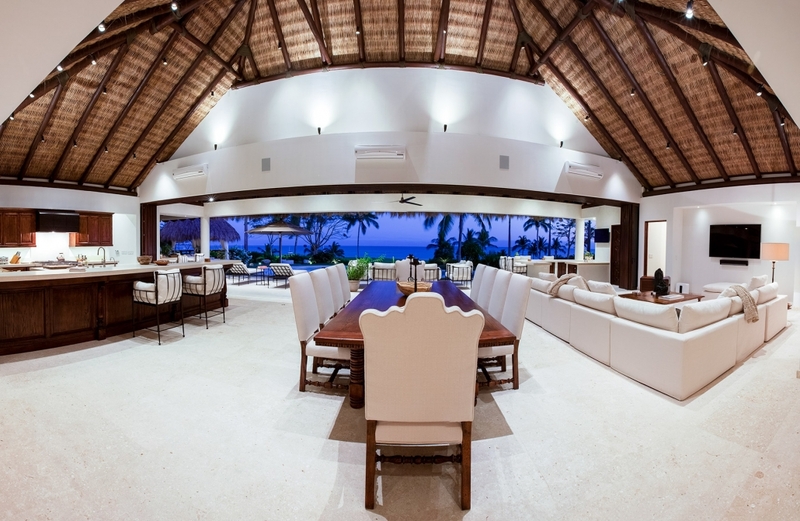 At dinner, the villa features a formal dining area with seating for ten. 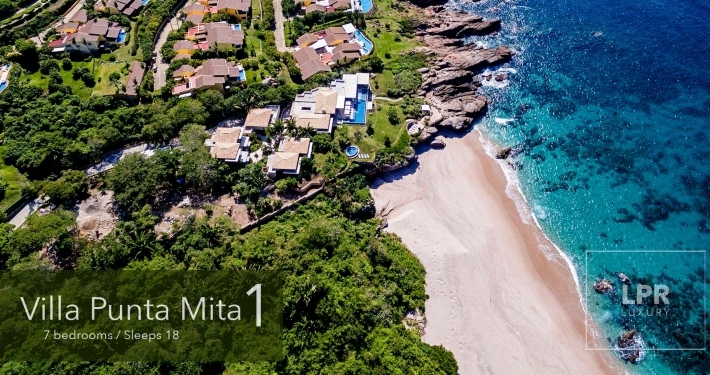 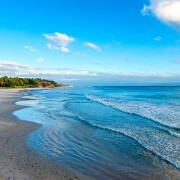 The Riviera Nayarit’s pristine coastline is home to some of the world’s most beautiful beaches, seaside resorts, and luxury homes, all connected by dozens of quaint villages. 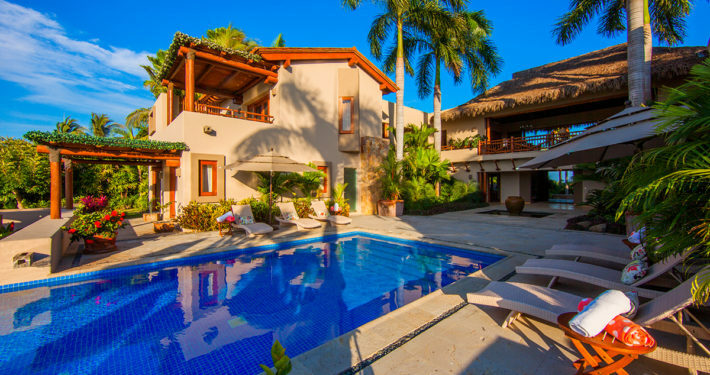 While you’re out exploring the Riviera, make sure to visit Sayulita if you’d like to discover even more secluded beachfront or try surfing. 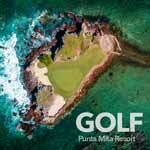 If its golf you’re after, the Riviera is home to eight incredible courses spread along the coast. 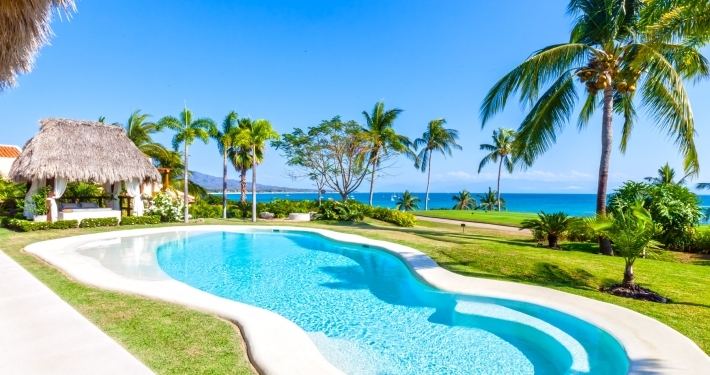 Alternatively, if you feel adventurous you can charter Villa Lagos del Mar 7’s own private 60′ sports fishing luxury yacht for some of the best sports fishing in the world or an excursion across the Banderas Bay into the beautiful Puerto Vallarta beaches to enjoy some snorkeling. 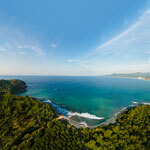 You might even see numerous species of colorful reef fish, sea turtles and manta rays. 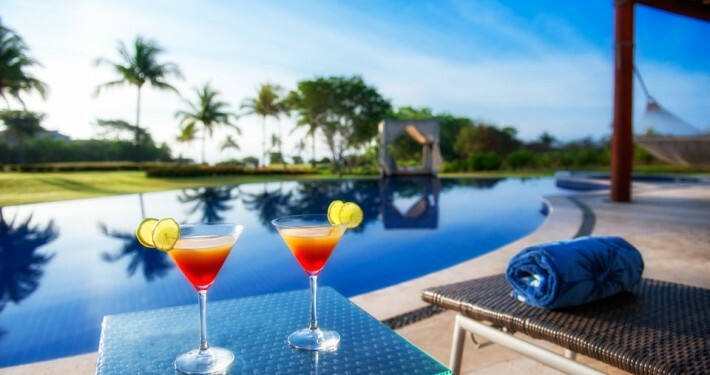 And, the bustling city of Puerto Vallarta is just a short drive from Punta Mita, where you’ll find shopping, dining, and a vibrant beach nightlife scene. 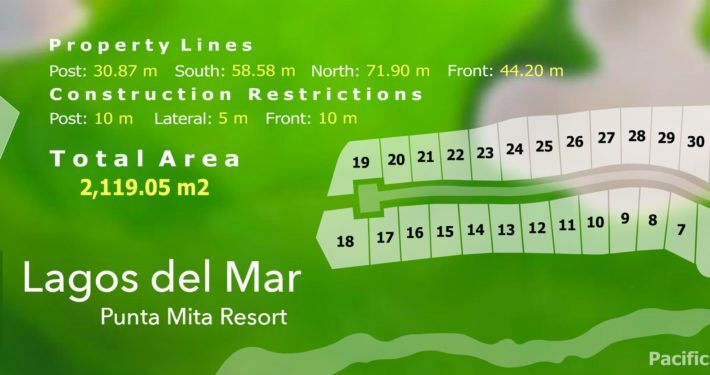 3 km to town with additional restaurants, grocery store and boutiques.